When hunger strikes mid-morning or early to late afternoon, your body is telling you to feed it with a nutritious snack. However, if you don’t snack the right way, then you can sabotage your health goals, whether you’re trying to lose weight, build muscle, heal a leaky gut, or achieve a more alkaline pH level. It’s a common belief that our snacks are indeed healthy. You might then be asking yourself why you’re still ravenous by the time your next meal is in sight? A lot of this has to do with the fact that your snacks aren’t really healthy at all. 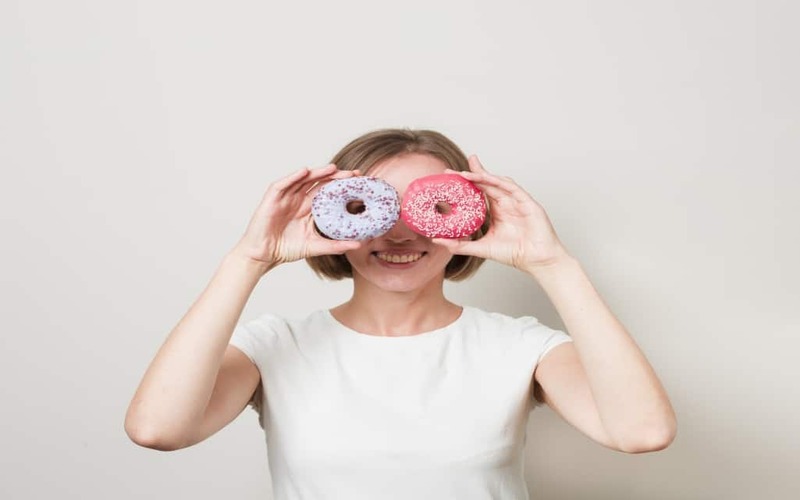 If you’re curious about the ways your current snacking habits might be sabotaging your health goals, read on to learn how, as well as what you can do to solve them. Sugar is considered one of our worse dietary enemies. Not only does it contain absolutely no nutritional value whatsoever, it can also increase inflammation and fat storage in the body. Over time, a high-sugar diet can also increase your risk for chronic illnesses such as metabolic syndrome and type 2 diabetes. On top of all that, sugar has a high pH level. While you might abstain from the candy machine at work, there’s literally sugar in just about every packaged food available. These include low-fat frozen meals, ready-to-make salad kits, dressings, and commercial nut butters. By reading your food labels, you can look for hidden sources of sugar. Sugar itself can come in the form of different names, such as corn syrup, molasses, and fructose. Sugar itself is an empty-calorie food, meaning that the ingredient has a high calorie content without the nutritional value that fruits and vegetables do. Still, sugar isn’t the only culprit on this end. Other empty calorie foods contain solid fats that are derived from animal products. When you consume empty calories, your body has a tendency to store them, rather than burning them off. When you eat a carbohydrate-rich snack, such as rice cakes, bagels, or a cereal bar, your metabolism will crash hard. This is a result of your body not being able to metabolize all the carbs you just consumed. When this happens, your body converts it to (you guessed it!) glucose (sugar). Instead of just eating carbs for your snacks, incorporate other macronutrients, such as protein and fat. For example, if you still want a rice cake, just have one with some almond butter and fruit for a more satisfying snack. More alkaline snacks that still contain carbs include fruits and vegetables. You should trade these in for breads and sweets whenever possible. Most adults technically get enough protein on a day-to-day basis, thanks to the meat and potato culture we live in. The problem here is that most people only get their daily intake of protein at one meal—this is usually dinner. When you’re trying to build muscle or lose weight, one large serving of protein a day just doesn’t cut it. The key is to make sure you have some type of protein with your small snacks, too. This could be a small amount of chicken or turkey, some nut butter, or hummus along with whole grain crackers or veggies. As an added bonus, protein helps keep you satiated far better than carbohydrates and fat alone. For decades, dietary fat gained a bad reputation as a health-killer. The truth is that your body needs fats, but not all dietary fats are created equal. While it’s true that animal fats, such as cheese and red meat, are full of unhealthy saturated fat, plant-based sources as well as fish contain the mono- and polyunsaturated fats your body needs. Healthy fat sources help your metabolism stay in gear while also keeping you full. The key is to keep your portion sizes small, as these do contain a higher amount of calories. While it’s true that eating every few hours works well for some people, especially if you’re extremely active, you can end up sabotaging your weight goals by eating jumbo snacks every couple of hours. As a rule of thumb, eating three small meals and three even smaller-sized snacks can help keep you full throughout the day without bingeing later at night. When snacks exceed beyond a couple-hundred calories each though, these would be considered meals. If you consider yourself a “grazer” and still aren’t able to reach your weight loss goals, it may be time to take a hard look at just how many calories your “snacks” really contain. When you’re on the go, it’s tempting to reach for packaged snacks that claim to be “healthy.” While these are often low in calories, such items are processed with artificial ingredients, not to mention added sugars to make up for a low fat and protein profile. Plus, you’re likely to have a sugar crash soon after eating these types of snacks. The best way to stave off hunger is to make your own nutritious snacks at home, all with a low acidic profile. Before you abandon snacks altogether, remember that healthy snacking serves a good purpose: to help keep you energized and full between meals. If you skip snacks, you risk decreasing your metabolic rate and over-doing it at lunch and dinner. By ensuring your snacks are a healthy mix of carbs, protein, and fats, you’ll be on your way to snacking much smarter and healthier. Learn more about your own pH and how the foods you eat can make a difference.